This summer, take your backyard barbecue staples from basic to bold with this knock-out cowboy burger recipe! McCormick Executive Chef Kevan Vetter recommends you pick a flavor combo that packs a real punch for the rub, then build out the burger with toppings and condiments to match that taste. For example, use Smoky Montreal Steak Seasoning, chili powder and brown sugar to make a sweet and smoky rub, then top with a rich BBQ mayonnaise, melty cheddar, grilled pickle slices and crispy onion straws. For more tips and recipes for unforgettable Fourth of July BBQ fare, check out McCormick.com. For the Onions, mix flour, salt and pepper in large resealable plastic bag. Add onion; toss to coat well. Pour oil into deep fryer, large heavy skillet or saucepan, filling no more than 1/3 full. Heat oil on medium-high heat. Carefully add onion rings to hot oil. Fry 4 to 5 minutes, turning once to brown evenly, until onions rings are golden brown. Drain on paper towels. Set aside. For the Burgers, mix Seasoning, chili powder and brown sugar in small bowl. Shape ground beef into 4 patties. Coat surface of each patty evenly with the rub mixture. Grill over medium heat 4 to 6 minutes per side or until burgers are cooked through (internal temperature of 160∫F). 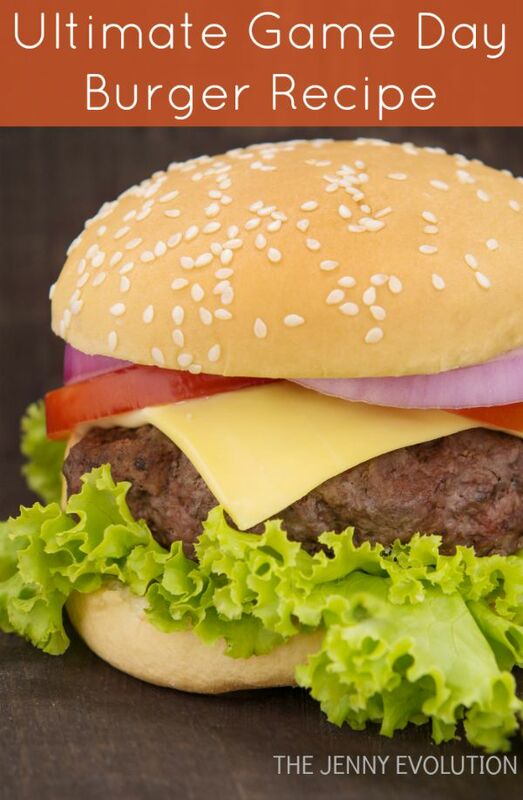 Add cheese slices to burgers 1 minute before cooking is completed. Grill pickle slices 2 to 3 minutes per side or until grill marks appear. Toast rolls on the grill, open-side down, about 30 seconds, if desired. 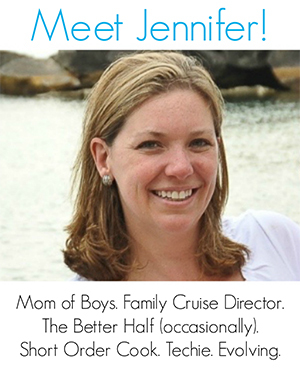 Find more delectable grilling recipes on The Jenny Evolution! 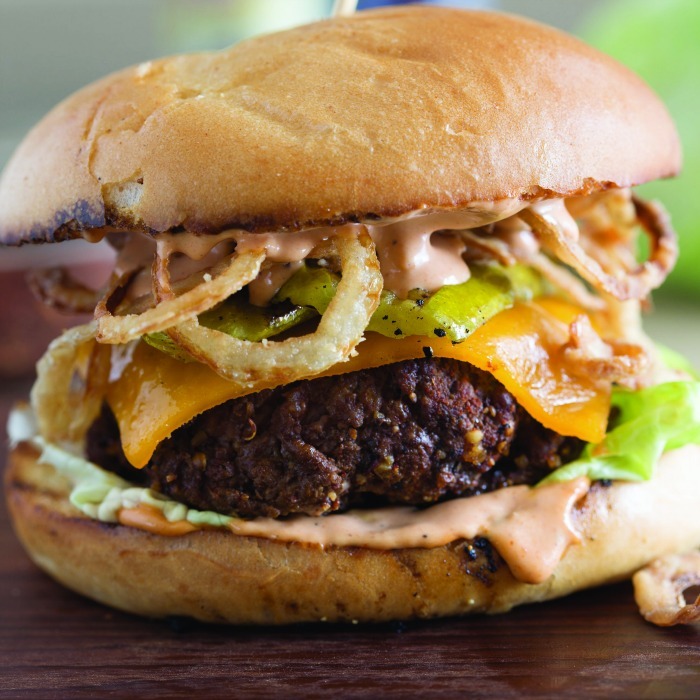 Take your backyard barbecue staples from basic to bold with this knock-out cowboy burger recipe! Mix mayonnaise and Bar-B-Q Sauce in small bowl until well blended. Mix flour, salt and pepper in large resealable plastic bag. Add onion; toss to coat well. Pour oil into deep fryer, large heavy skillet or saucepan, filling no more than ⅓ full. Carefully add onion rings to hot oil. Fry 4 to 5 minutes, turning once to brown evenly, until onions rings are golden brown. Mix Seasoning, chili powder and brown sugar in small bowl. Shape ground beef into 4 patties. Coat surface of each patty evenly with the rub mixture. Grill over medium heat 4 to 6 minutes per side or until burgers are cooked through (internal temperature of 160∫F). Grill pickle slices 2 to 3 minutes per side or until grill marks appear. Toast rolls on the grill, open-side down, about 30 seconds, if desired. 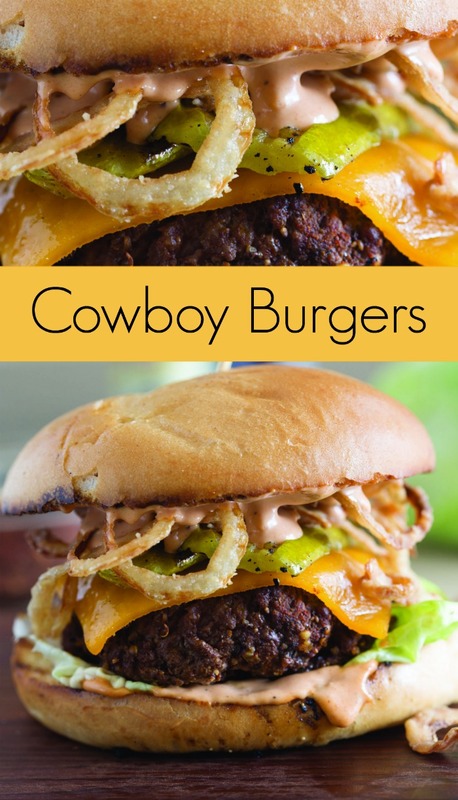 This cowboy burger sounds fabulous. Thank you for haring on Sugar and Spice link party. Shared and pinned. I always pick burgers topped with onion straws if they’re an option, these look great! I love everything about this burger!! Looks really mouth-watering!! Yum! Thanks for sharing and for joining Fiesta Friday party! We love burgers in our house and this one sounds delicious. Pinned and thanks for sharing. Mmmm…. now I’m wanting a burger!! Thanks for sharing at the What’s for Dinner party. Can’t wait to see what you’ll bring this week! I am so ready for a good burger, this looks fantastic! Hope you are having a good week and staying warm. Thanks so much for sharing with us at Full Plate Thursday! Oh my…pretty sure we’ll be making these. Burgers are always a hit around here and these sound sensational.